Dash Cams are attached to the dashboard or windscreen of a vehicle, and continuously record footage of your journey. This footage can be sent to the insurance company or the police if any incident occurs, to provide evidence as to who is at fault. Due to the large amount of fraudulent insurance scams, drivers need this protection to avoid being incorrectly blamed. Using a Dash Cam is a great way of preventing issues with various driving incidents. The footage can be delivered to the police as evidence if you are hit by another driver, or can be used to combat insurance fraud. As well as being used on the road, some dash cams have a parking mode which can be handy if an incident occurs while you are away from the car. For these reasons, fitting a Dash Cam can give you cheaper insurance quotes with certain companies. Cheaper insurance - Some insurance companies will provide cheaper car insurance deals if the driver has a dash cam installed. This is because the recorded footage will provide evidence if an accident occurs, avoiding costly court fees. Protect your car when parked - Many cameras have a Parking Mode feature. 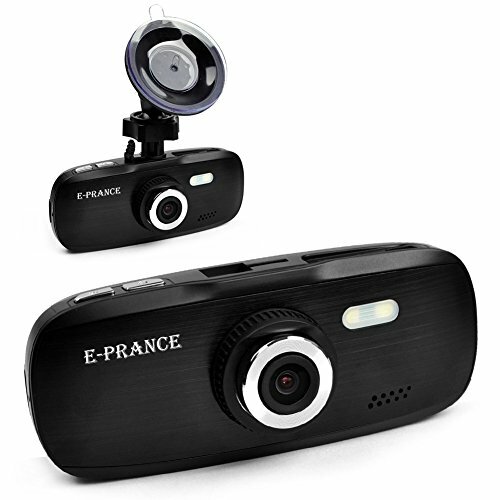 This allows the dash cam to record video while the car is parked, capturing footage if your car is damaged. This often requires you to hard wire the camera, as battery life will be an issue. Be wary, displaying a dash cam in your parked car can make it a more attractive target to thieves. Protect you from insurance fraud - There is a growing number of people faking accidents to receive compensation by walking into moving cars, or suddenly performing an emergency stop, causing the driver behind to drive into their vehicle. This activity is illegal, but without recording the incident, it can be very difficult to prove your innocence. Recording interesting journeys - Car cameras are a popular way to record interesting and eventful car journeys. This can be driving along scenic mountain roads, or documenting unforgettable holidays, dash cams provide high definition videos for you to share. Capturing once in a lifetime moments - Dash cams are great for capturing unique and once in a lifetime events. Examples of unique moments caught on a dash cam are; extreme blizzards, meteor explosions, tornadoes, and landslides. With the popularity of Youtube and Facebook, these videos often go viral, as other cameras rarely pick up these random events. There are various types of dashboard cameras available on the market. Top level Dash Cams will allow users to record parameters such as speed, distance, time and location which can usually be viewed on google maps. G-force senses are also available which will automatically detect an impact and save the recorded footage. Parking mode is handy if an incident occurs while you are away from the car, as the camera will automatically save the footage for further use. Most Dash Cams are manufactured in China, Taiwan and various other Asian countries. For this reason, there is little regulation by the government in these countries resulting in poor quality control. All the products we display are on sale from Amazon. If you have any issues with items purchased through this site you will need to get in touch with Amazon and they will take care of it. Although Amazon have a fantastic returns policy, we always recommend purchasing from a reliable brand. Checking the reviews on Amazon is a great way to determine the quality of an item. 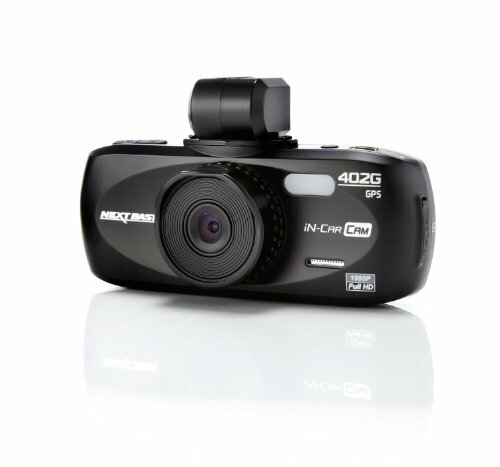 You can also check out our top rated dash cams here to see which products we recommend. Although you may be tempted by the cheap prices, with Dash Cams you certainly get what you pay for in terms of both picture quality and reliability. Technology may be advancing as fast as ever, but this forces companies to create more intuitive and easier to use products than their competition. As a result, dashboard cameras have become incredibly simple to set up and use, with many models being labelled as "Plug in and go". A study performed by the RAC found that members of the "Over 50" category make up the majority of dash cam owners, likely due to an increased awareness of how dangerous driving actually is. The same study also states that 69% of people who have been involved in traffic accidents, believe fitting a dash cam would have assisted in their claim. For this reason and others, we strongly recommend drivers never take to the road without this vital source of protection. And it doesn't matter how good you are at driving, you have no control over the large amount of poor and dangerous drivers out there. 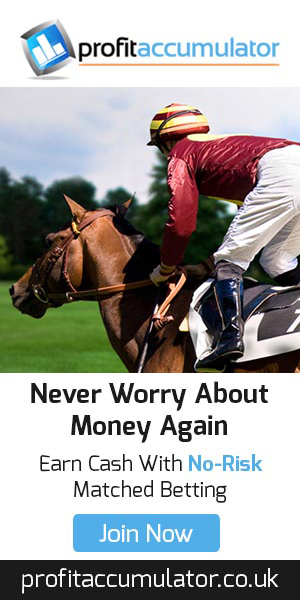 A small investment now may save you plenty of cash, and plenty of headaches. How Are Dash Cams Fitted? The majority of dashcams are simple to set up, they usually takes a few minutes before you can start recording your journey. A large percentage of dash cams are stuck to the windscreen with either a suction cup, or self adhesive mount. The most important consideration when attaching the camera, is whether or not it is obstructing the drivers vision. Not only is this very dangerous, but you may be pulled over and fined for incorrect placement. Dash cam laws are different depending on where you live, so it is important to check local laws before attaching, particularly with adhesive mounts as they are difficult to remove. For the majority of countries, sticking your dash cam behind the rear view mirror is the best choice. It is possible to purchase a dash cam specially designed to slip over the rear view mirror, for easier installation and unobstructed vision. If this is your preferred choice, Maisi offer a great camera of this type. The power cable should will need to go around the windscreen as seen in the slideshow below. This wire is then plugged into the 12V charger to receive power. In some cars, this socket is always active, so your dashcam may turn on as soon as it is plugged in. For others, this will happen when the ignitions is switched on. If your car's 12V socket is constantly receiving power, make sure to unplug the dash cam when not in use to prevent draining the car battery. We always recommend removing your dash cam whenever you are away from your vehicle, as they may attract unwanted attention. As soon as a dash cam receives power, they usually turn on and begin recording automatically (as long as there is a microSD card inserted). The camera's inbuilt G-Sensor is used to detect any sudden changes in acceleration (such as impacts), and protect the important footage. This video file can then be transferred to your PC, so you can play the footage back, or share it to social media. 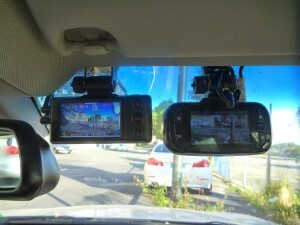 Some dash cams will allow the video to be played back on the camera screen, while others such as the Goluk T1 have no screen, and operate using WiFi to connect to a smartphone. Video Resolution - The number of pixels on display. This is one of the most important things to consider when purchasing a dash cam, as the resolution will determine the overall quality of the video. 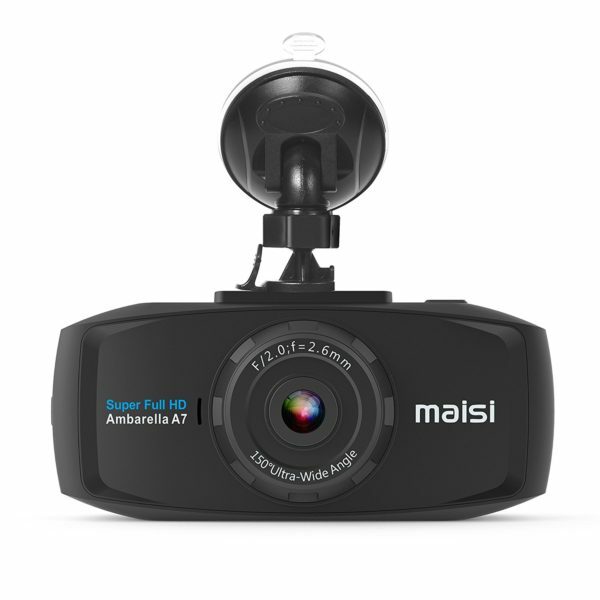 Full HD, or 1080p (1920x1080) is the standard for HD dash cams, but certain cameras such as the Maisi Dash Cam offer superior quality (2304x1296). Many cameras boast Full HD video, but provide blurry and low quality footage. The only way to know the video quality of a certain dash cam is to view sample footage on websites such as Youtube. Frames Per Second (FPS) - The frame rate is the amount of images played back per second. The average is 30fps, but some cameras are offering 60fps for certain resolutions. Higher frame rates result in a smoother video, but usually the cameras offering 60fps have to limit the resolution to 720p. It is your choice whether you favor better resolution or frame rate for your videos. 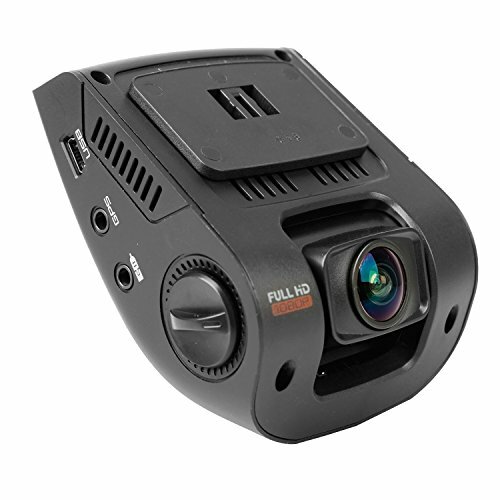 Many dash cams offering the 60fps feature will also allow you to switch between 720p @ 60fps, and 1080p @ 30fps. I suggest testing both settings to see which you prefer. 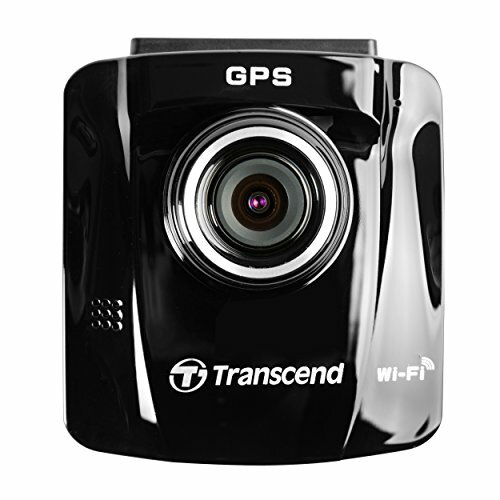 Viewing Angle - A dash cam with a 170 degrees wide angle lens will display more width than one with a 140 degree lens. Wider viewing angles allow the camera to record more lanes of the motorway, although most dash cams can cover the entire road. Cameras with a wider lens will usually pick up overtaking cars earlier than a narrower lens. This can be very important, as being hit from the side is a very common accident on the motorway. Night Vision / WDR - Most dash cams will offer some sort of night vision mode, but most cameras can cope very well with night driving. For this reason, we recommend watching video footage from a dash cam before you make the purchase. Our dash cam reviews aim to include both day and night footage, and are often tested in various weather conditions. WDR stands for Wide Dynamic Range, and suggests that the camera can handle a wide range of lighting in a shot. As stated before, you should watch sample footage before you make your investment, as each camera's night vision function sounds great, but are often lacking when tested. G-Sensor - The built in Gravity Sensor will detect a sudden change in acceleration, and automatically protect the recorded video. Most dash cams have a G Sensor, and we advise staying well clear of any cameras without one. This is because you can't rely on pressing a button when an accident occurs. It is worth experimenting with your dash cam's G Sensor sensitivity, as speed bumps and potholes can often activate the sensor, and automatically protect footage. Loop Recording - This is another feature included in every dash cam we have reviewed so far. These car cams record in loops of video, often between 1 and 10 minutes long (this option can be changed in most dash cams). When your micro SD card fills up, the dash cam will automatically begin overwriting the oldest footage, so in a way SD cards in an in car camera will have unlimited space (until they become faulty). When the G-Sensor detects a change in acceleration, or when the driver manually activates emergency recording mode (by pressing a button), the current loop will usually be saved and protected. It is a good idea to record in loops 3 or 5 minutes long, as this allows you to see the events building up the an accident. For recording an entire journey, loop recording mode can often be turned off. Manual Emergency Lock Button - Emergency lock buttons allow the driver to manually protect footage. This is useful for incidents not directly including your car, such as witnessing dangerous driving, people pulling out, or any sort of interesting event. Date & Time Stamp - Some dash cams will stamp the date and time in the bottom corner of your video. This is useful for helping insurance companies to determine the time of an accident, but may be turned off if you are wanting to record an interesting journey. SD Cards - MicroSD cards are used to store the video files. Every dash cam will need a microSD card, but they may require specific types. For the majority of car cameras, a Class 10 microSD card such as the Samsung 32GB Evo will be suitable. Each time footage is overwritten, the SD card is damaged slightly. For this reason, every microSD card will have a limited life span, although some are built with TLC NAND to be more durable (Transcend Ultimate). Some of higher resolution dash cams will require faster microSD cards, such as the SanDisk Extreme 32GB Class 10. This topic can get very complicated, so we recommend checking out our guide to SD cards if you want to find out more. We recommend avoiding the Sandisk Ultra, as users of this card have claimed it doesn't work well with dashboard cameras. WARNING: Faulty or counterfeit microSD cards are becoming more common on sites such as Amazon and Ebay. For this reason, we recommend you always purchase from the manufacturer through Amazon, rather than a third party seller. Read our microSD card guide to find out how you can avoid counterfeit products. Dual Cameras - Most in car dash cameras include one camera only, but there are certain models that have two built in. The first camera will usually be of higher quality and face forwards, while the second faces inside the car, or out of the rear window. 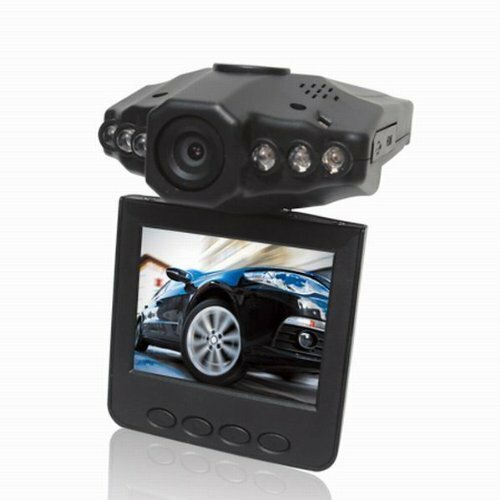 These type of cameras are particularly useful for taxi and Uber drivers, and may be compulsory for some taxi or lorry businesses. Because being hit from behind is a very common and hard to prove accident, front and rear dash cams are becoming more popular. Each dual dash cam will offer different setup possibilities, so check with each individual model before purchasing. It is also worth viewing sample footage before purchasing, as the rear cameras are usually low resolution. Parking Mode/Motion Detection - Many dash cams will offer some kind of parking protection feature. When set, the camera can automatically begin recording whenever motion is detected. While this may sound like a handy feature, it is often misleading, as hardwiring the dash cam is often needed. For cars which power the camera while the ignition is off, the car battery may be drained. It is also worth noting, having a dash cam on display will make your car more attractive to thieves, so we recommend removing the camera and placing it out of sight if you're parking for a long time. GPS - Unlike Sat Navs, this isn't used for navigation purposes. Instead, the co-ordinates are recorded into the video file, allowing the user to view their journey with Google Maps. The GPS feature also allows you to see speed details, making it very useful as evidence (as long as you were the one driving responsibly!). Our favorite GPS dash cam is the MAISI SMART car recorder, as this also records in 2k resolution, providing you with excellent value for money. 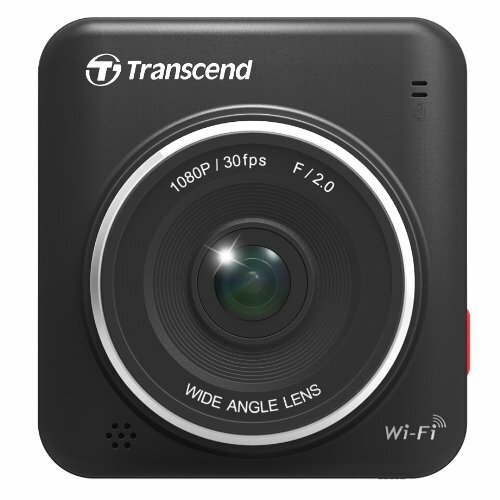 Wi-Fi - Some dash cams have the ability to create Wi-Fi hotspots, allowing you to download or stream the video onto a smartphone. For some models, this means the dash cam doesn't need a screen. If this feature interests you, the Goluk T1 is a great camera with Wi-Fi capabilities. LDWS - The Lane Departure Warning System is designed to warn the driver if their vehicle begins drifting out of a lane. This is a great feature to combat the issue of driver fatigue and could be a life saver, especially if your job requires you to drive for long hours. Be warned though, with this turned on you will receive a beep sound every time you overtake a parked car. For this reason, this might only be useful for motorway journeys. Forward Collision Warning - The Forward Collision Warning System can detect when an incident is about to occur, and alert the driver. Speed Alarm - This feature will warn the driver when they are over the speed limit. Or you can click the link at the top to see our top dash cam reviews.